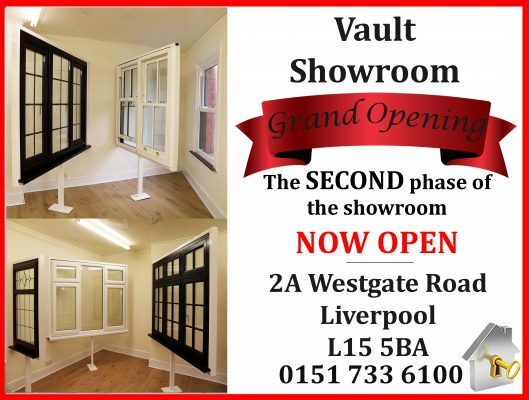 Vault Showroom 2nd Phase Complete! The 2nd phase of the showroom will include a full range of Windows types, including Liniar’s Casement, Flush Sash, Vertical Sliders in Timber and UPVC and Tilt & Turns. Pop down to 2A Westgate Road, L15 5BA to check it out.